This blog is based on a talk I’m giving on #FOAMed this week at the International Conference of Emergency Medicine in Cape Town. I’m really delighted to be given the opportunity to speak on the last day of the conference on a topic that, for me, originates from one of the first SMACC talks I did back in Sydney in 2013. That talk was about how the use of social media was subverting the traditional approach to education and how a number of organisations were starting to fight back. Previous: Previous post: The European Guideline on Management of Major Bleeding – are you in or out? 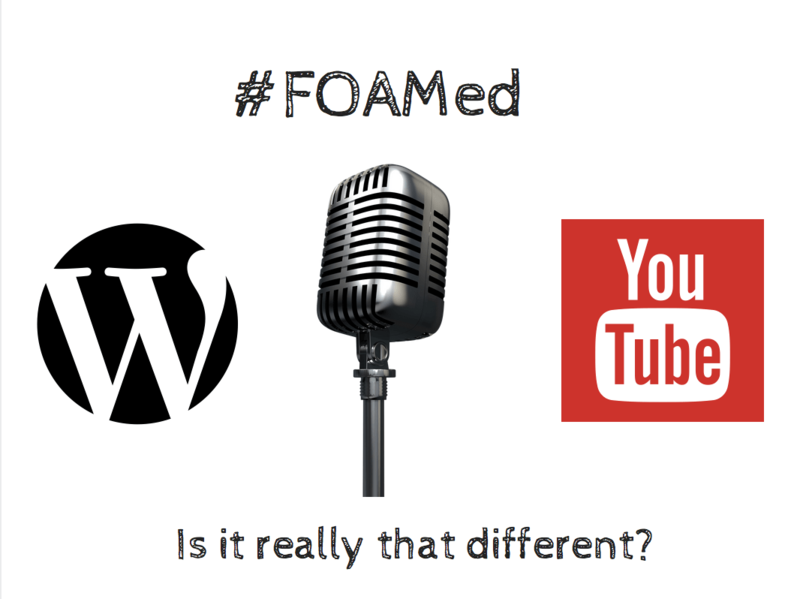 Is FOAMed amenable to having its outcomes measured just like any other MedEd intervention? Yes, I just assumed yes. I’m not sure how it could prevent it. How would you design that study? The educator who believed they ever could is deluded. The best they can do is create the conditions that optimise the learner’s ability to construct knowledge for themselves. I think that’s very true, but does not mean that some were not deluded! At the ICEM conference it was stated by some that they advised their trainees to avoid #FOAMed resources as it is confusing for learners. 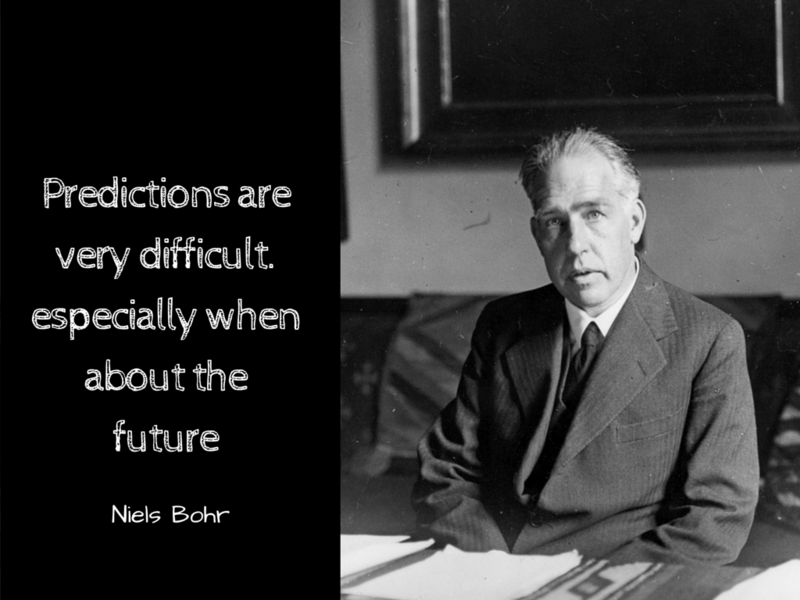 I would concur with your thoughts about this as well – it ’twas always the case. Whilst no-one can restrict access, I believe there is still a role for mentors/educators to direct students to certain resources that they feel make be more appropriate to their level. Similarly, it is important to provide advice and cautions when interpreting specific sources of information. This applies whether to FOAMed, a sub-specialist textbook, peer-reviewed recommendation, departmental guideline or a published study. The context of the learner and their clinical practise will always remain relevant. Thanks so much for the incredibly insightful post Simon. I’m especially impressed with how you’ve used Moodle to integrate traditional modes of learning and FOAMed. I’ve suggested that our program directors at U of Toronto consider this platform. 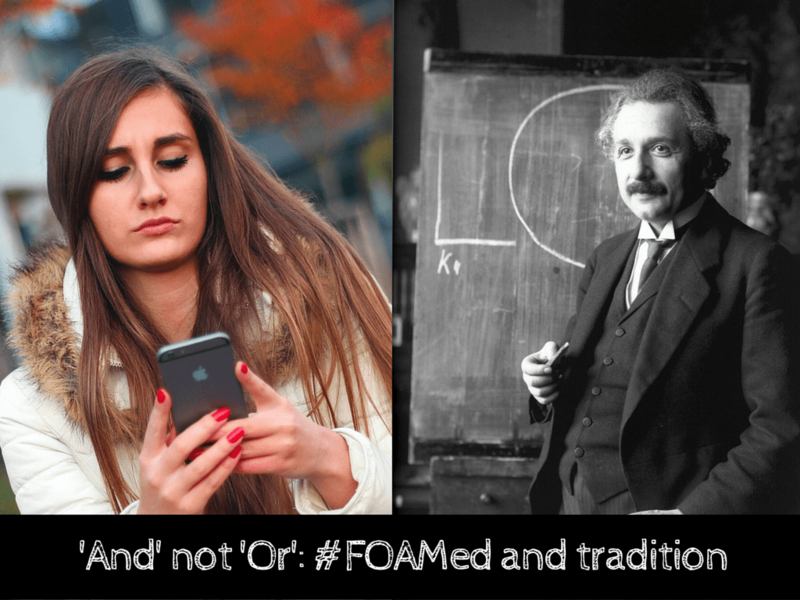 I agree fully that FOAMed is a great complimentary adjunct to traditional curriculi rather than an alternative, and I’ll be giving a talk to this effect at Canada’s largest EM conference Emergency Medicine Update in a few weeks. The only thing that doesn’t sit right with me is the similarity drawn between podcasts and audio lectures. Sure, they are similar in that they are both audio-based, but that is where the similarity ends. I believe that podcasts are a distinctly different medium to audio lectures, often containing multiple voices, stingers, jingles, editing and production that is geared toward ‘on the go’ listening. As you pointed out later in this blog “The impact of any educational intervention is altered by the media”, and I think the more that we recognize this as educators and learners, the better we’ll be able to educate/learn. Multimodal learning is where it’s at! Keep up the great work man and good luck with your talk! 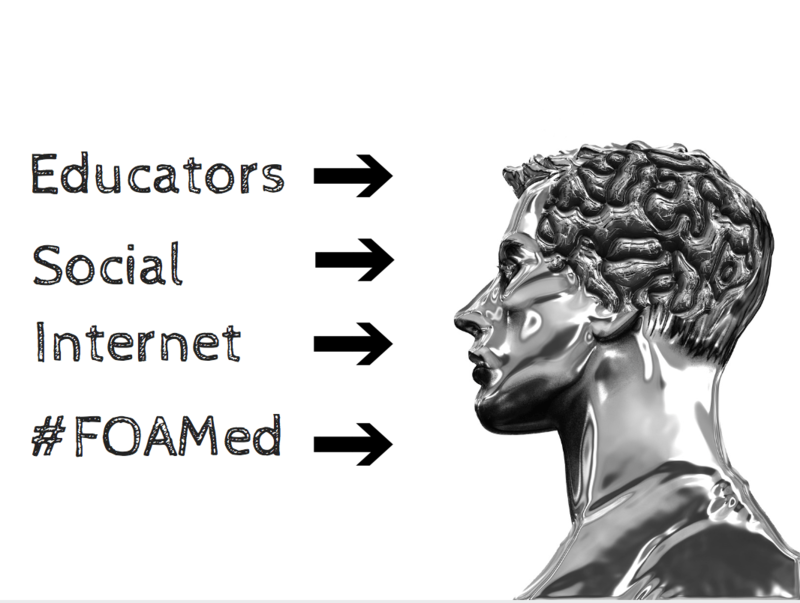 FOAMed authors have recognised and capitalised on how learning can be optimised using the Internet medium. Although the Internet facilitates some of these educational principles, they can be also applied to other contexts. For instance SMACC was an early adopter of this format of which I am now seeing copied in other conference settings. Medical schools and local training programmes can also take advantage of these approaches with the content modified for their particular needs. I think that’s a fair comment about the podcasts changing through the media and that’s certainly a point we’ve made many times before. 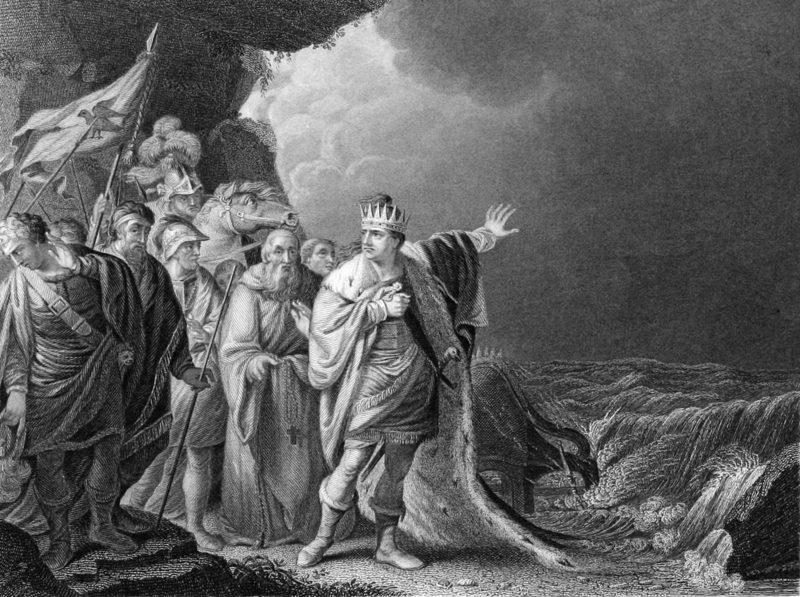 In context this talk was aimed at de-escalating the concern that some traditionalists have and thus I was using it as a tool to link the past with the new. On reflection I think that point could have been made better. The resident feedback is very positive — but their participation is optional. Just as we see in the #FOAMed world in general, I have a cadre of very some involved residents, and many who eschew it entirely. So I agree wholeheartedly that it’s ‘and’ not ‘or’. We’d never just had a resident Rosen’s and say, “off you go!” Neither should it be that way with #FOAMed. None of these resources should exist in a vacuum; educators should be familiar with all the tools in their box — and digital resources are evolving into a very, very useful tool — but we’ve got to be handy with everything in the box. For our trainees we are using online resources in conjunction with our formal training sessions in a “flipped classroom .approach. 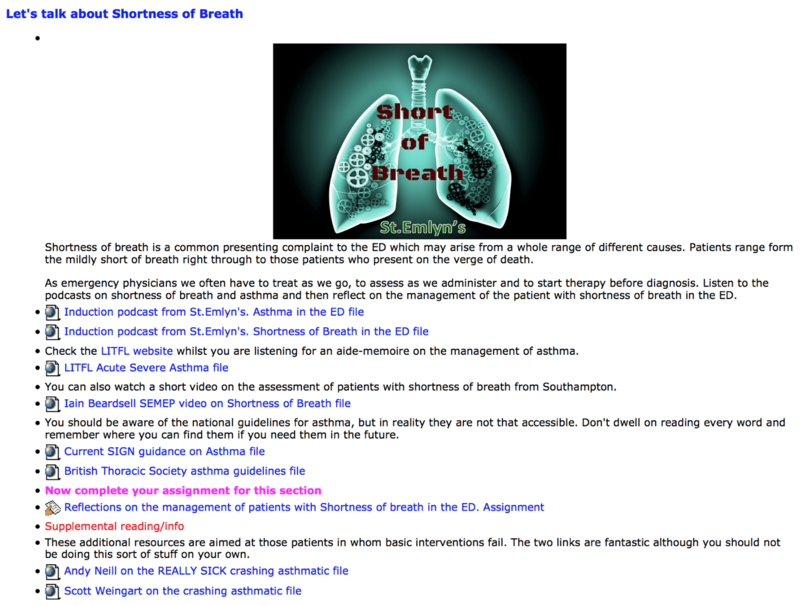 We have created a trainee website which revolves around a clinical case. Included are a set of questions to be divided up by trainees of various levels. They include basic biomedical sciences, the clinical approach to the problem and controversies. An example would be the physiology of work of breathing, the approach to the patient in respiratory failure and the current evidence of NIV. The aim is to draw all the related threads of the biomedical and clinical sciences into a coherent understanding of the topic and its clinical application. They are able to use whatever resources required to answer the questions. These are presented over structured two hour period. In their brief 10-15 min presentation, each trainee is encouraged to create an engaging and interactive summary that stimulates discussion and questions. The session is moderated by a consultant to help tie the information together. The additional impact of this is to create a whole generation of capable scholars and educators. Very interesting — do you do this on a weekly basis? We’ve only started this approach in 2016. Currently the format occurs monthly. A reasonable amount of thought is required to create a realistic case vignette with learning issues so doing it more frequently will be prohibitive. However, my impression is that we are finding that the trainees are highly engaged in this new approach. Whether this translates this to hard learning outcomes remains to be seen. Yes, the vignettes may be challenging, but if you record, collate and curate them they can be used again, and again (the concept of reusable learning objects). 1. Groups work best when there are one or two enthusiasts. These ‘peer facilitators’ as they are known motivate the group through their enthusiasm and bring everyone up in terms of activity and engagement. 2. Silence in cyberspace is really quiet. If someone is quitely listening in a tutorial or lecture you can still notice this. If they are just listening (and learning) on line, it may not be so obvious. 3. Contamination is a powerful tool for departmental learning. To hange practice you don’t need everyone to take part, just ‘enough’ and ideally those with peer or power influence to engage. Whilst the learning can take place on line, change takes place as it translates into the workplace through role modelling, teaching and demonstration. I appreciate these apply more at a more senior level (than med students) but there is something in it (notably 1). I have references somewhere (though they are quite old now). “Silence in cyberspace is really quiet.” SO very true, Simon! Unless there’s a flipped classroom aspect with live interaction, it seems we can’t draw out the lurkers, or find out how much they’ve taken away from the assignment (unless we make participation mandatory.) I find Derek’s description of what they do at their institution very interesting, as is the “contamination” effect. But undoubtedly that knowledge translation could happen faster if more residents were fully engaged with the assignments. Interesting discussion — thanks for your insights. 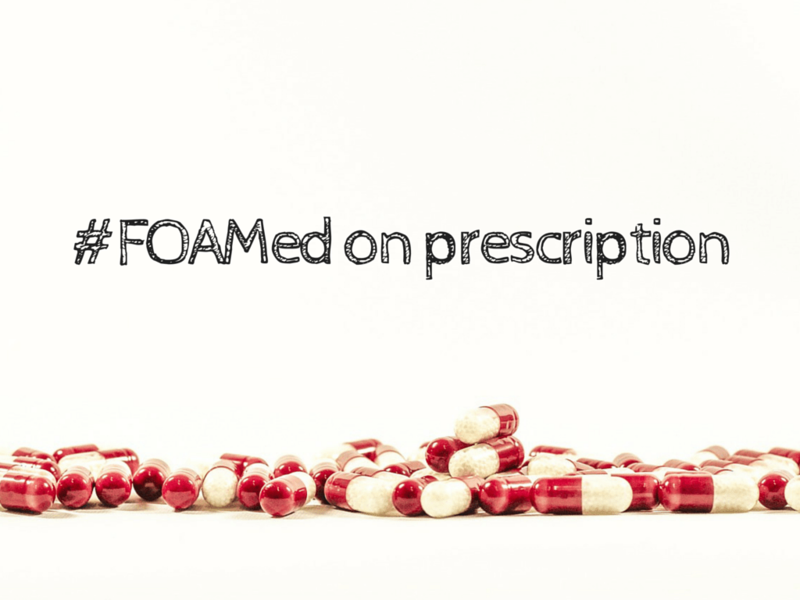 Are you using FOAMed as a change management tool or to create uniformity in practice? That is a very behaviourist approach to learning. If you want to do that in a department, just write a protocol and issue a dictum for everyone to follow it. Not so much the #FOAMed as change management, but certainly our firewalled departmental discussion boards are a strong tool for change. Realistically it’s one of the most effective methods of communicating and discussing new and interesting ideas with the whole team. Ask yourself when the last time that your entire department met face to face, at the same time, in the same place. If you’re anything like us I suspect that the answer is ‘never’. 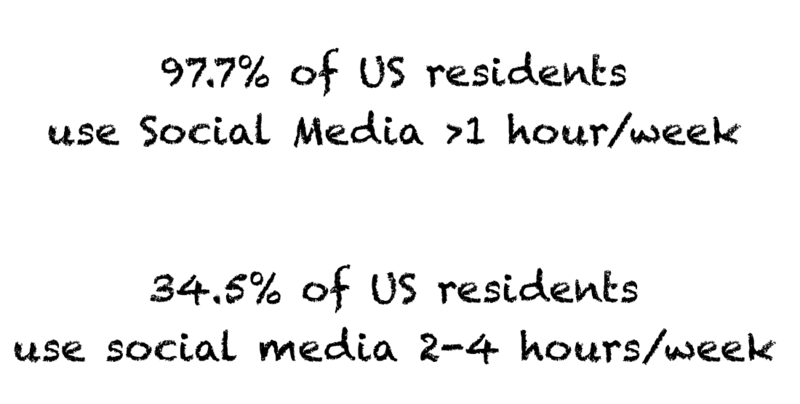 Cyberspace is an alternative comms method for a chronologically and geographically distributed workforce. 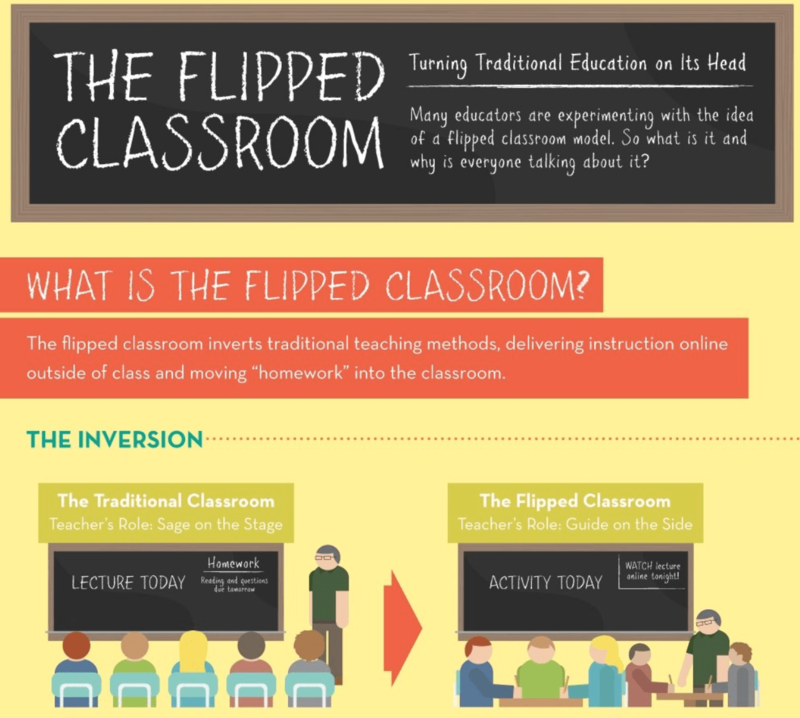 Lurkers can still hide within a flipped classroom/small group discussion but it becomes more obvious they are doing so. But I don’t think you can ever force someone to engage with a group or utilise a specific learning resource. Similarly we may need to acknowledge that some people learn better alone or rely on alternative sources of information. Each student constructs knowledge uniquely. The best we can do is offer them as many attractive and valid options that may be able to fit into their current level of learning and understanding.